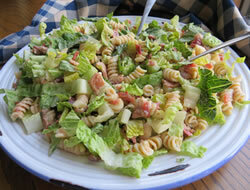 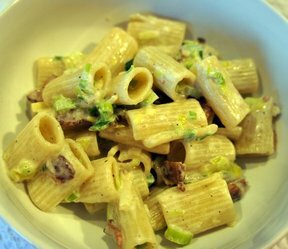 A short ribbon of pasta twisted into a shape resembling a screw or spring-like, corkscrew. 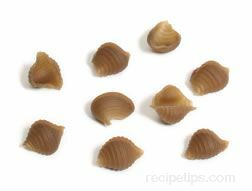 Fusilli is best when it is boiled and served with a thick, heavy sauce. 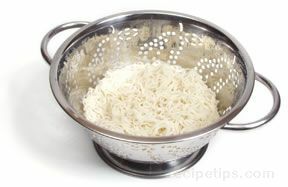 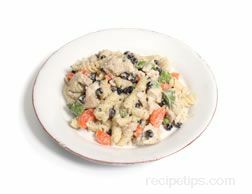 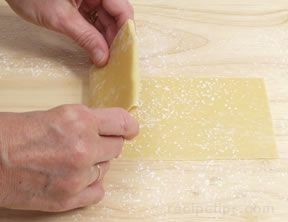 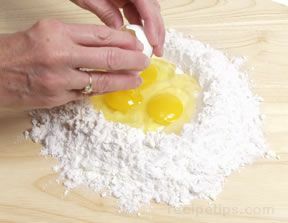 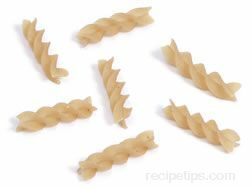 Other types of pasta that may be substituted for fusilli include farfalle, gemelli, macaroni, penne, rigatoni, and ziti.